Đi đường Cỏ, bỏ mạng đường xa! For English readers we translate our essay “Thời cửu vạn, ôsin” posted on Talawas on March 29, 2007, into English. The phenomenon of day laborer (cửu vạn) and housemaid (ôsin) is now so widespread like never before. Transient workers are ever-present all over the world, from the poor to the rich countries. They tag many names such as day laborer, contract worker, piece-meal worker, migrant worker. They transit from one country to another, with a contract or trafficked through. They differ in skin colors and languages, but experience the same precondition. Poverty! I heard the term “cửu vạn”  on my first return visit to Vietnam in 1993. This term is so foreign to a person who was born and raised in South Vietnam, and later cut off from that lifestream for more than 15 years. I was explained where the term came from later. On another visit in 2004, I traveled to Sapa highland in the North and had a chat with a street vendor. She hawked sweet potatoes and sweet rice cakes wrapped in banana leaf slow grilled under wood charcoal. She talked on and on asking us to help her going down South to Saigon working as “Osin” as if that would be the miracle lifting her off a struggling life. I listened and understood within the context of our conversation with her. Only later then I knew that Osin is the name of a character as a housemaid in a Japanese melodrama series showed in Vietnamese TV. Way back when I was a kid, I’ve heard and read stories of the lives of dock workers at ports, coolies in rubber plantations, and indentured farm workers for rich landowners as the icon of the poorest of the poor, of the exploited in the society. Who would have known that in this twenty-first century they are so numerous as the armies. China had 113.9 million migrant workers from rural areas in 2003, who accounted for 23.2 per cent of the total rural laborers, according to a survey carried out by China’s State Statistical Bureau . In the United States (touted as “heaven”), they are all over the states working mainly in agricultural areas, slaughter houses, construction and non-skilled activities. At the farms we see them picking, cutting, packing, loading fruits and vegetables. In the slaughter houses we see them catching, cutting, and packing meats. To the construction sites we see them digging, shovelling, lifting, pushing, and dumping. At the restaurants we see them dishing, washing, and cleaning. In the supermarkets we see them loading, stacking, moving, and cleaning. Go to the home construction warehouses we could see them in hat with backpacks standing, and squatting at corners waiting for a waving hand to be picked up for a day job. In Dubai, one of the seven United Arab Emirates, there are 8 migrant workers for each citizen. They come from different countries mainly from Asia, Africa, and Middle East. They do all kind of works from inside the house to outside the street, delivering milk, cleaning hospitals, picking up garbage, tending childcare, cooking, laying foundations, plumbing, hairdressing, etc. except working in government offices. All and all they do the most dangerous, the heaviest, and the dirtiest jobs. The number of housemaids inside one country and aboard is no less than the day laborer force. It’s a way to avert hunger, a hope as well as the only road to escape poverty. Obviously, not many have money, brain, and patience to buy a fare ticket of high education out of the poor lower class. The tiny savings if existed is prioritized for the males and the females were left with scrap. In the patriarchal world, labors are divided by gender and women got the shaft. Women is over half of the population but they are the poorest of the poor. They contribute two thirds of labor but only gather one tenth of income. They possess less than one hundredth of total assets . Women do not only sell their labor but also their bodies as merchandise. There are many families who barter, trade, indenture, “sacrify” their daughters in order to erase debts and secure loans for “family” (brothers and father). One of the odious consequences of migrant works is the family –the foundation of society– is broken. Children of migrant workers are separated from their parents. They could not be together because of housing conditions and residency rules so that they were left behind with grandparents, or relatives back in rural areas. The psychological effects of displacement and separation are immeasurable and long lasting. Couples that were separated for a long period of time weaken the bonding while loneliness leads to extramarital affairs. The age of anxiety in the 20th century is long past. Now comes the age of fear in the 21st century. No longer has the anxiety of pending wars by opposing forces between empires and colonies, fascism, capitalism, and communism existed. Now is the end of ideology. Communism declined and fell into the trash bin of history leaving the supreme global market economy of global infra-national capitalism. There is no ideology left; so most if not all leaders and politicians are ready to discard the ideal in serving society and/or country, and pin oneself with an insignia of pragmatism to have a standing in a small cohort of privileged capitalist elites. The tribulation of this century is global capitalism and totalitarian dictatorship. Either one is dreadful; yet, most horrendous is when both are tweaked together as such “two yokes for one neck” that Vietnam has imitated China model. On one hand, the totalitarian dictatorship let the Communist party leading class bestowed with special privileges, rights, uncensored and unlimited powers suppressing democracy and restricting liberties. On the other hand, market economy skewed by corruption, shrinked public and social benefits, privatized education and health services leads to deeper disparity between rich and poor and increasing poverty. Socialist oriented market economy is a deformed fetus of the “global exploited capitalism” under the free market billboard, and the “totalitarian dictatorship” under the socialism banner. Under current Vietnamese economic policies, honest businesses are depressed while red capitalist businesses dominated leading to extreme polarized society. Open the market for rabid competition, monopoly, and fraud schemes. Vietnamese stock market has become a convenient and fertile environment for scheming and money laundering (turning bribes from corruption and illegal earnings to clean money). It has also been a grand casino for ruining lives and families just like the “dog rearing” and “squab raising” fads, in which the pipe dreams of leveraging small assets are broken out in a maddening fever. The shimmering rainbow bubbles are burst in fleeting seconds. What socialism orientation means when homes and land from peoples are appropriated and compensated with dirt cheap price while public land are pieced off to private hands, or transferred to private capital entities with huge bribes to party official pockets! The government privatizes many public institutions that contribute to public services (such as health, education, and transportation) so now poor people has to go without food for medicines, drop out of schools to help with family works, and have fewer means of mobility for making a living. Why is the army of transient workers fast growing–when only a few decades ago the number of day laborers was few and far between not so prevalent, but becomes extensive like now? 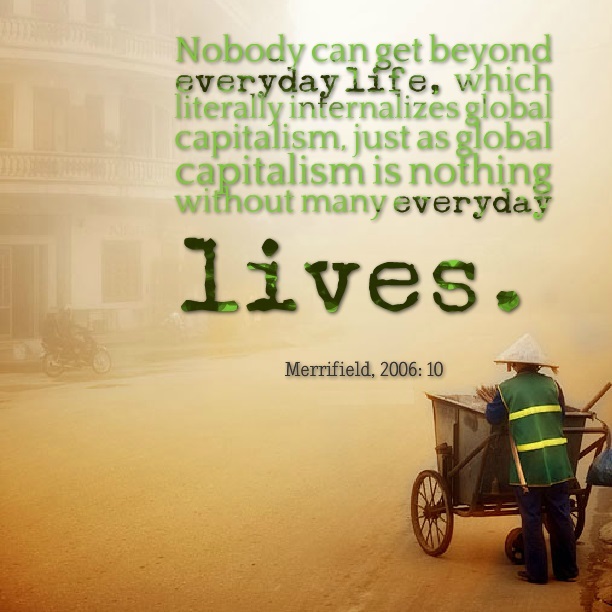 Day laborers and housemaids are present-time slaves because “We used to own our slaves; now we just rent them.”  No need to conquer and occupy via geographical areas or physical bodies, but through the global market. Industrialization facilitates labor surplus and the proletariat class are willing to compete and fight over the crumbs. The poor countries compete on export quotas and special privileges to export to America and Europe. Vietnam, Cambodia, and Bangladesh wrestle for export of clothings. Similarly in the export of shrimps, fishes, coffees, peppercorns, etc. The manufacturing locales are swapped like soiled underwear, and ready to discard like worn socks. Transnational global capitalists own productivity means and distribution, decide the quotas, and set the prices. The consumers are free to choose and buy. The marketing ploys and promotions create desires for consumers, from the rich to the poor, from the newborns to the elders. Everyone have the feelings of equality in ability and freedom to choose in the consumerism society. While the liberty and equality in other realms are non-existent. The average workers could gradually skim and save enough to wear Calvin Klein jeans, Coach purses, Channel glasses looking like a model. However, in an instant incident such as a sudden sickness in oneself, or in the family, the prized possessions would be pawned off, or swapped out joining the penniless masses without any public benefits for support. Vietnam joined WTO and signed many multinational, regional trade and economic agreements, stepped on the bullet train of capitalist market economy, but unfortunately they landed on the service cabin. The transient worker army is ever ready to replace its wasted foot soldiers. Would the Vietnamese not deserve to have a just, free, and democratic government with dependable public service institutions and independent civil organizations —such as peasant unions, worker unions, political parties, religious faiths, free press, free media, writers and artists unions—so that the voices of all people could contribute to building a society with prosperity, happiness, equality, and justice? Paul Ekins, A New World Order: Grassroots Movements for Global Change (New York: Routledge, 1992), p. 74. Pierre Bourdieu, Acts of Resistance – Against the Tyranny of the Market, (New York: The New Press, 1998), p. 82. Zillah Eisenstein, global obscenities, (New York: New York University Press, 1998), p. 46. Giữa tháng 2 năm 2008, chúng tôi có tham gia vận động đòi hỏi quyền lợi cho công nhân VN lao động làm việc ở hãng Esquel tại Malaysia. Một số đồng hương thành phố Seattle, Tacoma, và Olympia tiểu bang Washington, Hoa-kỳ đã viết thư cho hãng Esquel và cửa hàng Nordstrom (mua hàng từ Esquel) để áp lực họ giải quyết thoả đáng lương bổng theo hợp đồng cho công nhân VN. Chúng tôi đã gọi điện thoại trực tiếp văn phòng địa phương của Esquel tại Seattle song song với điện thư trực tiếp cho trụ sở chánh của họ ở Hong Kong để áp lực họ giải quyết vấn đề. Nỗ lực cuả Ủy Ban Cứu Nguy Người Vượt Biển (BP-SOS, Boat People SOS) cùng với Liên Minh Giải Bỏ Nô Lệ Thời Hiện Đại ở Á Châu (CAMSA, Coalition to Abolish Modern-day Slavery in Asia) và đồng bào hải ngoại đã đem lại kết quả tốt đẹp cho công nhân VN ở Malaysia. Cùng trong thời gian đó chúng tôi đã phát hiện và gởi thông tin cho BPSOS về vấn đề công nhân lao động VN tại Jordan bị bóc lột và ngược đãi. BPSOS và CAMSA, song song với bộ ngoại giao Hoa-kỳ đã liên lạc trực tiếp với công nhân tìm hiểu vấn đề cũng như trợ giúp họ trong việc tranh đấu đòi hỏi quyền lợi chính đáng của họ. Nhân viên bộ ngoại giao cũng như bộ lao động, thương binh, xã hội của nhà nước CSVN gởi sang Jordan đã không giúp đỡ người lao động đạt được lương bổng và điều kiện lao động thoả đáng như hợp đồng mà còn trấn áp đe doạ họ. Cuối cùng thì nhân viên nhà nước CSVN cũng như đại diện hợp đồng lao động đã đồng ý cho lao động hồi hương. Thế nhưng họ tráo trở không bồi hoàn tiền thế chấp, đặt cọc cũng như không trả lương đền bù. Hiện nay CSVN vẫn tiếp tục dùng bạo quyền trấn áp, hù dọa thủ tiêu chính những người lao động đồng bào của họ (trong đoạn 3 của phim, Tên Đại Sứ Cộng Sản Nguyễn Xuân Việt thú vật thề sẽ băm từng mảnh cô lao động VN 20 tuổi đời). CSVN không còn lương tri, không lòng nhân đạo lộ rõ bản chất bạo tàn cộng sản và bóc lột tư bản đỏ.